Outside of an occasional James Bond movie, about the only experience I’ve had with an Aston Martin is the time years ago my son and I were traveling and decided to stop at an exotic car dealership outside Greensboro, NC. Amid the Ferraris, Maseratis and, by comparison, rather plebeian Porsches, were a handful of eye-catching Aston Martins. Also not surprising: There was no clamour among the dealership’s salespeople to see if they could help us. I suppose a 40-year-old in jeans and sweatshirt with 12-year old dressed the same doesn’t inspire dreams of a big sale when one is peddling very big-ticket items. As I glanced at the Astons, some of which topped out at more than $200K, I began to understand why I had come across so few of them on Southern US roads. It appears Aston Martin is about to launch another sharp-looking ride that I will likely never see outside the big screen. Called the Vulcan, it features a 7-liter V12 engine, a carbon fibre monocoque structure, a pushrod-actuated suspension with adjustable dampers and carbon ceramic racing brakes, according to the BBC. The motor generates in excess of 800 horsepower, delivered to the rear wheels through a race-specification six-speed sequential shift gearbox, the media outlet added. Additional details are scarce at present, but it appears production will be limited to just 24 vehicles. The price tag for the track-only car, with a top speed of 225 mph, is approximately $2.3 million. Those able to snap up the Vulcan – named for the Roman god of fire – will be put through “a series of intensive driver-training programs on a roster of famous circuits,” led by Darren Turner, two-time winner of the 24 Hours of Le Mans. 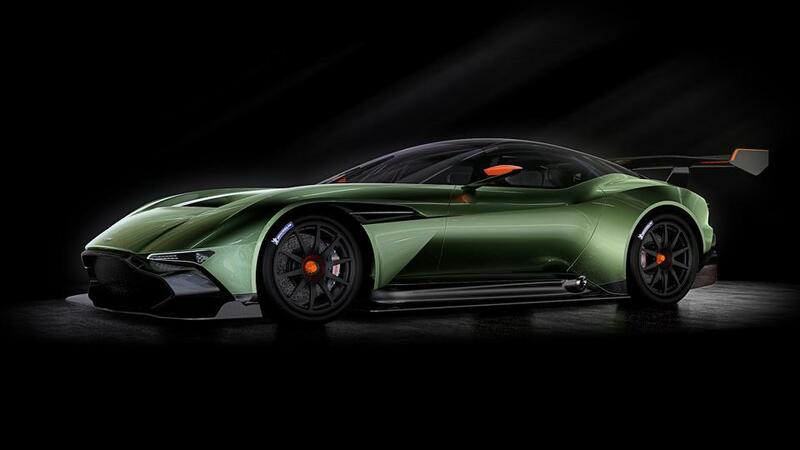 Vulcan owners will work their way up from the V12 Vantage S and One-77 road cars and the Vantage GT4 racer before slipping behind the wheel of their new Vulcan, the BBC added. Sounds like a car-driving fantasy camp. The company has said it will reveal more details about the Vulcan at its debut at the Geneva International Motor Show on March 3. A standard precept of law is that one can’t libel the dead. It stands to reason then that one can’t sue the dead for libel, either. The facts, at least as described in late 19th century newspapers, provide a different account. 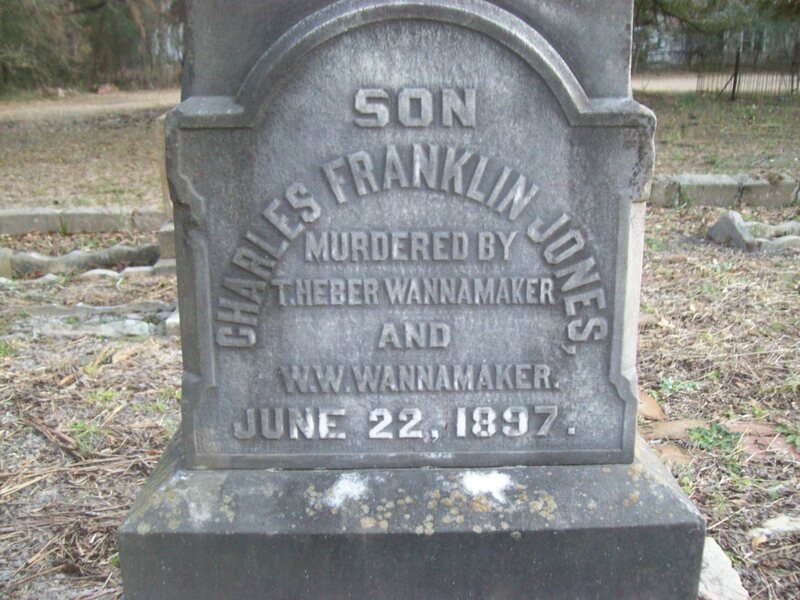 According to a New York Times’ report filed June 23, 1897, Thomas Heber Wannamaker, a South Carolina businessman, killed Jones in self-defense. The incident came about as a result of bad blood that developed following a murder trial two years earlier. In that case, Dan C. Murphy was convicted of gunning down Robert Copes, the treasurer of Orangeburg, SC. During the trial, Wannamaker was called to testify to the character of Jones, who had served as a special detective in the case, with Wannamaker delivering an unflattering appraisal. From that point forward, Jones expressed a determination to seek revenge on Wannamaker whenever the opportunity presented itself, according to the Times. There aren’t too many places in the world that, legally, have been deeded to God. Artesian springs located in the woods of rural South Carolina – said to have been noted for centuries for healing properties – counts itself as one of those few locales. 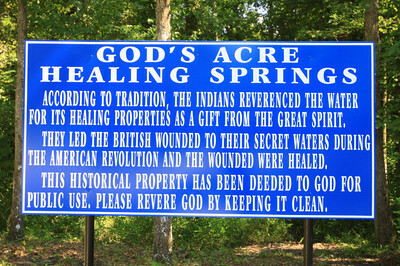 God’s Acre Healing Springs, located in Blackville, a rural community in Barnwell County, SC, was a sacred site for local Indians before white settlers moved into the area in the 18th century. 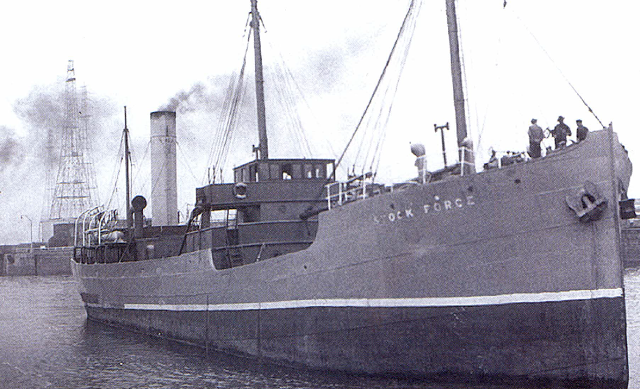 It is said to have gotten its name during the American Revolution. In 1781, after a bloody battle at nearby Windy Hill Creek, four gravely wounded Tories were sent inland from Charleston by General Banastre Tarleton in the care of two comrades, who had orders to bury them when they died. Native Americans found the six and took them to the springs. Six months later the Charleston garrison, where the British forces were based, was astonished by the reappearance of the half-dozen men. All were strong and healthy. Ownership of the springs passed from Indian tribes to an Indian trader named Nathaniel Walker. The site was eventually acquired by L.P. Boylston. On July 21, 1944, Boylston deeded the land and springs to “God Almighty,” both officially and through informational signs he posted in the nearby area. 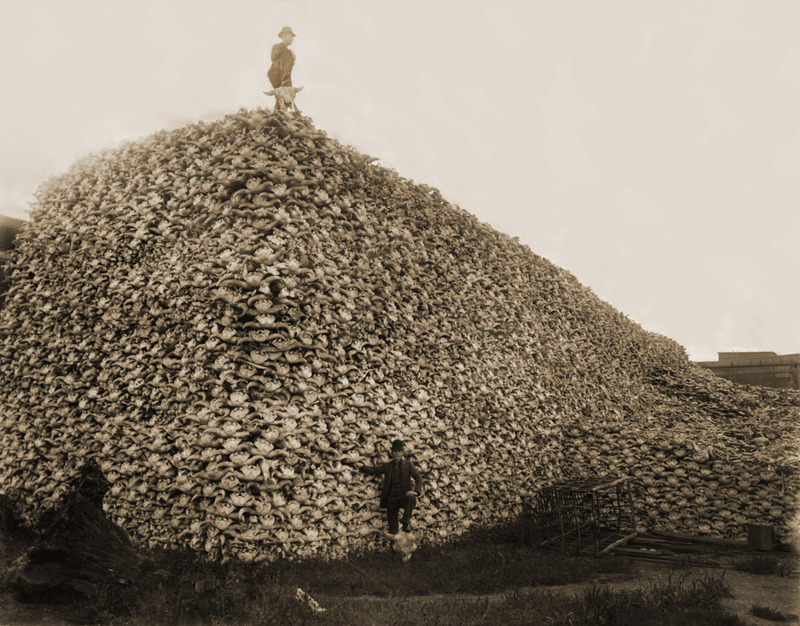 The above is the sort of image one expects to see in Moose Jaw, Saskatchewan, or Bangor, Maine – not Greenville, NC. 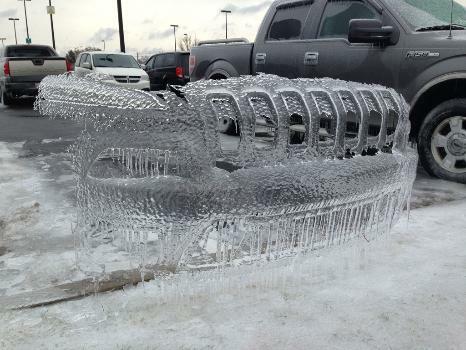 The ice imprint of the front grill of a Jeep Cherokee was discovered in the visitor’s parking lot at Vidant Medical Center Tuesday afternoon. The ice was attached to the curb. The image first appeared on the website of Greenville television station WITN. 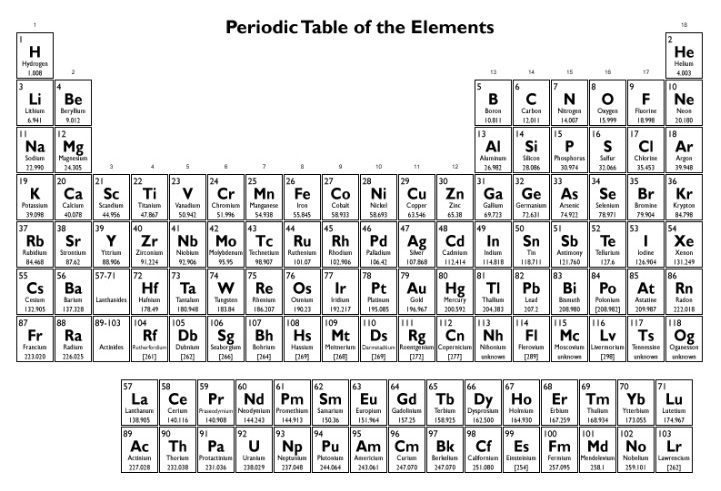 A second image can be seen here. The station speculated that the owner of the Jeep let their vehicle run to warm up the motor, which likely loosened the ice on the front. The imprint was then left when the Jeep was backed out of the parking space. Opening Day for the Wilmington (Del.) Blue Rocks is still two months away, but Mother Nature didn’t do the Class A minor league baseball team any favors this week. As a promotional offer, tickets for Blue Rocks’ first home game were aligned with the temperature. Whatever the thermostat read when the box office opened at 8 a.m. Monday, that’s what fans would pay for a ticket for the club’s April 16 home opener. With the recent cold snap that’s moved through much of the Eastern United States recently, the temperature in Wilmington Monday morning was 4 degrees. As a result, fans could snap up groups of eight tickets, which normally range for $48 to $88 total, for 32 cents in all, a discount of more than 99 percent, according to ESPN. “It’s really cold here, and we want to get the fans thinking about us,” said Stefani Rash, director of tickets for the Carolina League affiliate of the Kansas City Royals. Fans could also order tickets by phone and through the Internet, although they were charged a $5 handling fee. The Blue Rocks sold about 3,600 Opening Day seats, and more than 200 fans took advantage of the chance to buy eight tickets for a grand total of 32 cents. 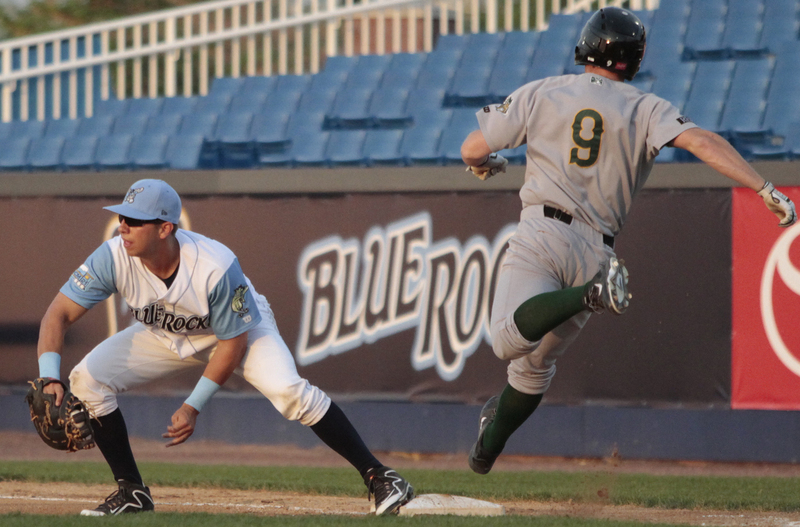 This is the second year that the Blue Rocks have held the promotion. Last year the price was 20 cents a ticket, ESPN reported. Although the team leaves money on the table in the short term, the promotion ensues that fans experience the ballpark on the first day it’s open, Rash said. If the temperature had dropped to zero or below, the club would have given out tickets for free, according to Rash. Researchers believe they may have found the remains of the man said to be the author of the first modern European novel, beneath the chapel of a cloistered convent in Spain. Experts searching for the remains of Don Quixote author Miguel de Cervantes said earlier this month that they found wooden fragments of a casket bearing the initials “M.C.” containing bones beneath the Convent of the Barefoot Trinitarians in Madrid’s historic Barrio de las Letras, or Literary Quarter, according to the Associated Press. Archaeologists are seeking to solve the centuries-old mystery of where the famed Spanish writer was laid to rest. The initials on a plank of the coffin were formed with metal tacks embedded into the wood. While the bones of at least 10 people were found inside the niche containing the broken wooden planks of the coffin, some of the remains belonged to children. Cervantes’ remains went missing in 1673 when work was undertaken at the convent. They were thought to have initially been taken to another convent before being returned, according to the Daily Mail. He suffered three wounds during the famed Battle of Lepanto, including one that left one of his arms withered. His magnum opus, fully titled The Ingenious Gentleman Don Quixote of La Mancha, and published in two volumes in 1605 and 1615, follows the adventures of Don Quixote, a landless nobleman who has imbibed too many chivalric novels and lost touch with reality. In a bid to bring justice to the world, he turns knight errant, recruits a simple farmer, Sancho Panza, as his faithful squire, and roams the world in search of adventure. 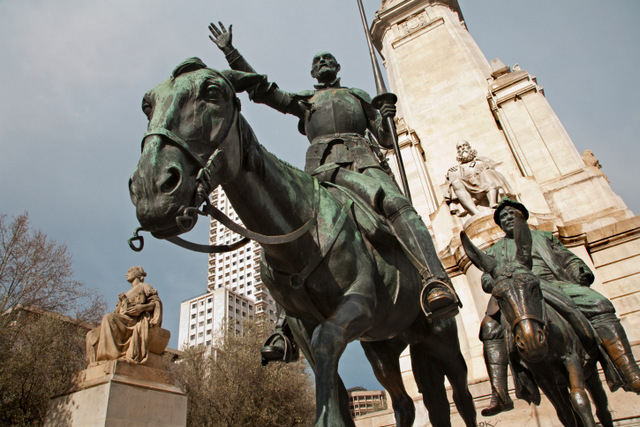 Cervantes himself led a fascinating life. Born in 1547, he had by 1569 moved to Rome, where he worked as chamber assistant to a cardinal. Determining America’s most corrupt state is not unlike trying to ascertain history’s most prolific forger: In the latter, the counterfeiter too skilled to be caught remains forever unknown, while in the former, the most dishonest state is one that has tolerated and even declined to prosecute dishonest behavior. That’s not the argument that Mississippi officials are putting forth to dispute a recent study that ranks the Magnolia State as the most corrupt in the US, but it would make sense. Instead, Mississippi officials are arguing that the study by two public policy researchers – Cheol Liu of the City University of Hong Kong and John L. Mikesell of Indiana University – fails to take into account the state’s recent anti-corruption efforts. The pair looked the rate at which public employees in each of the 50 US states had been convicted on federal corruption charges from 1976 to 2008 to determine which state was the most corrupt in the union, according to Fortune magazine. They concluded that Mississippi had the highest ratio of public workers who were censured for misuse of public funds and other charges. The researchers looked at the hard numbers – federal convictions – to control for differences in spending on law enforcement and the rigor of state corruption laws, according to Fortune. 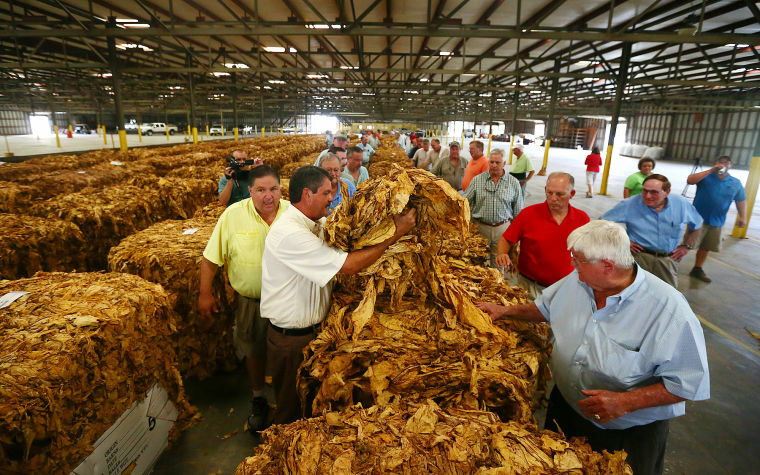 But Mississippi State Auditor Stacey Pickering argued in an interview with Fortune that the study relied on old data and didn’t take into account the state’s anti-corruption efforts. Pickering contended that many Mississippi laws have changed since he took office in 2008, with the state legislature putting an investigative arm into the state auditors office. What makes just as much sense, however, is the idea that truly corrupt states – think Nigeria, Liberia or Russia – simply decline to prosecute corruption. It’s not unlike the purported actions of law enforcement in bad areas of certain metropolises, which, often at the request of politicians, underreport crime in order to either create a false sense of security or to give the impression that crime is declining. Put another way, if every county in your state but one chooses to ignore speeding laws, is it fair to label the one that enforces the law – provided it does so justly and impartially – a speed trap? Those caught speeding may not be happy, but that doesn’t mean the county following the rules should be singled out as the problem. 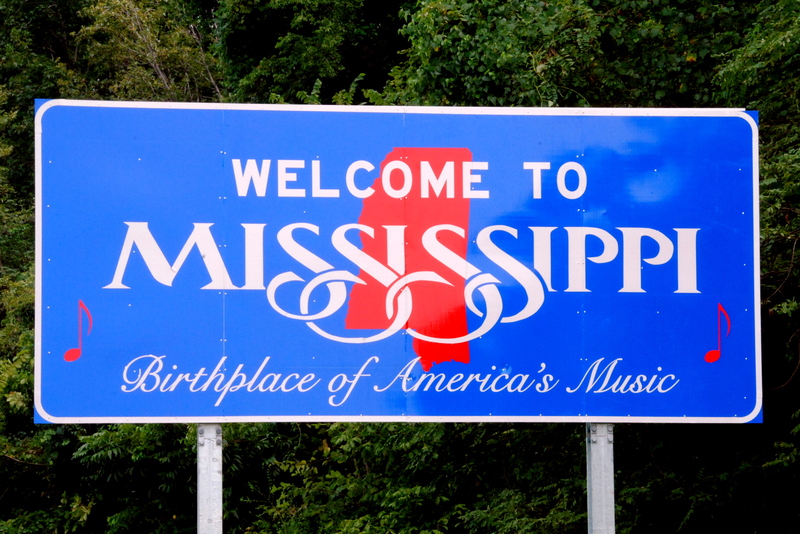 Does Mississippi have challenges? Yes. Is it the only one? No. Is it the worst offender? Probably not.